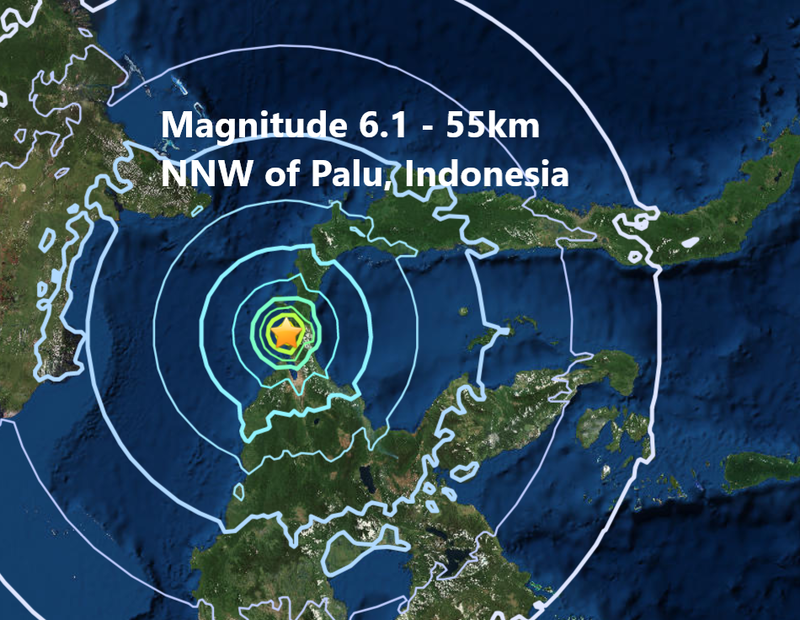 A magnitude 6.1 - 55km NNW of Palu, Indonesia. An earthquake struck the Indonesian island of Sulawesi on Friday, but there was no threat of a tsunami, the meteorology and geophysics agency BMKG said. The U.S. Geological Survey put the magnitude at a powerful 6.1 and a relatively shallow 18 km. This mornings quake is the 9th major quake of September and all 9 have struck The Pacific Ring Of Fire, it is also the 85th major quake of 2018.